Fire Safety Education is your preferred source for fire prevention and public safety education materials and the best way to alert all ages about the importance of fire safety. 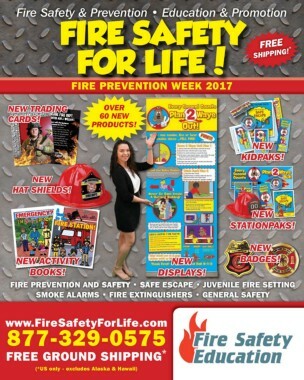 We offer a full-line of pamphlets, coloring books, activity books, videos, advertising specialties and promotional items to assist you in getting your fire safe message out to your community. Almost all of our materials may be custom imprinted with your personalized message to increase community support and awareness of your fire department program. We specialize in working with fire departments, military, emergency medical organizations, and local and state government agencies to assist in creating public education programs that produce results. 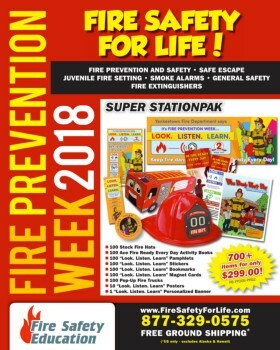 We offer many products, programs and solutions for events such as fire prevention week (FPW), and on topics including 9-1-1 awareness, burn and injury prevention, carbon monoxide safety, using fire extinguishers, fire drills, safe fire evacuation, fire prevention, forest fire prevention, holiday fire safety, juvenile fire-setting, kitchen fire safety, natural disaster preparation, senior citizen fire safety, and the proper use and installation of smoke alarms. Our children's fire hats are of the highest quality and are fire-resistant. We love serving our customers! For additional information or to place an order call us at 877-329-0575.